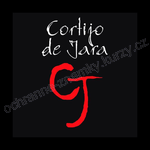 CORTIJO DE JARA CJ 15920598 14.10.16 PUERTA NUEVA s.L. SIMEZA 15926314 14.10.16 SILOS METÁLICOS ZARAGOZA S.L.U. NORDIC BABY 15926348 14.10.16 WOBABIES s.L.U.